Christmas is almost upon us...and I thought I'd collect some special recipes for a 12 days of Christmas Special which will include traditional puddings, tarts, jams, cakes and shortbreads for your Christmas pleasure! We continue on with our Tart Treats! 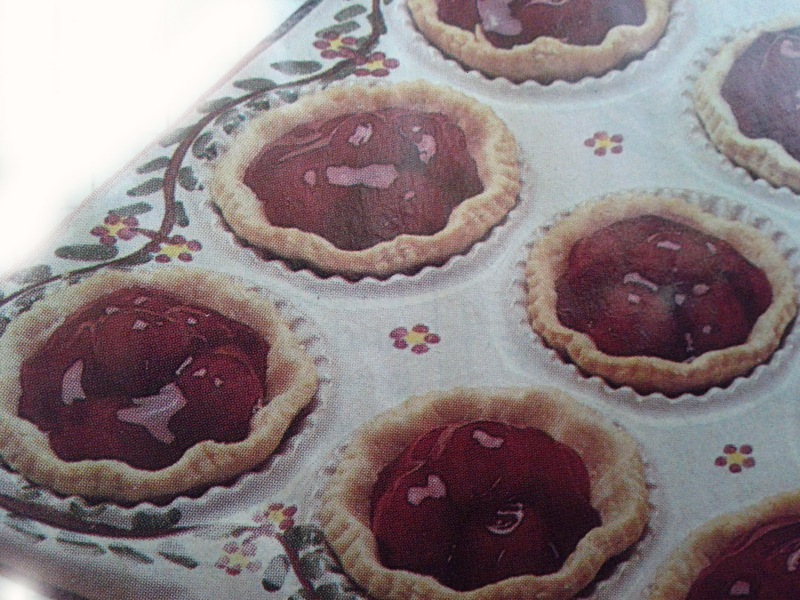 I love the colour of big red juicey cherries in most recipes...but when presented with a mini tart of delicious redness who could resist! Perfect for the Christmas table with the addition of a green glazed candied fruit in the centre! Preheat oven to high (200 degrees) Lightly butter 12 muffin tin cups. Combine flour and salt in a medium bowl. Cut in shortening until mixture is coarse and crumbly. Set 2/3 of dough aside. Add ice water to remaining 1/3 and blend well. Return reserved dough to bowl and mix well. Roll out pastry on lightly floured surface to thickness of 1 inch. Cut out 12 circles using a 3 1/2 inch round cutter. Place pastry in muffin moulds. Prick pastry shells with fork. Bake until lightly browned for about 25mins. Cool crusts briefly on cups, then carefully transfer to rack to cool. Heat reserved liquid from cherries in medium saucepan over medium heat. Add sugar, corn starch and salt. Cook just until thickened, clear and smooth. 4 to 5mins. Remove from heat. Add cherries and butter and mix well. Cool to room temperature. Spoon into crusts. Serve with whipped cream or ice cream for a delicious treat! 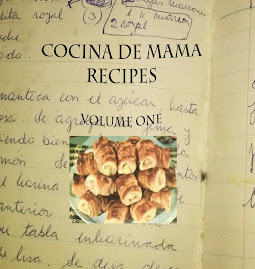 Don't forget to watch all the live recipes on Cocina de Mama's YouTube channel.